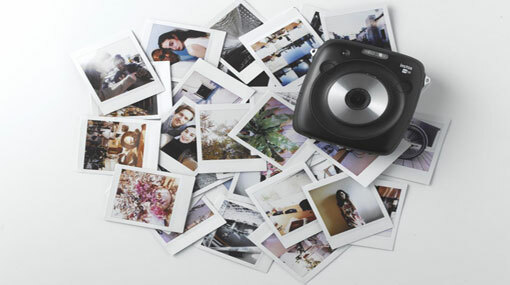 Until this fall, Polaroid had not made instant cameras and film in about a decade and instead branched out to licensing its name to other electronic products like televisions, tablets, and even drones. But despite all that, Polaroid is still trying to keep its brand synonymous with the square instant film look. So much so that it’s demanding millions of dollars in royalty payments from Fujifilm, which found continued success with its Instax line after Polaroid exited the instant photography industry in 2008. This week, Fujifilm filed a formal complaint to a US District Court in New York, claiming that PLR IP, the brand licensor for Polaroid instant cameras, sent the company multiple letters requesting Fujifilm either pay millions in annual royalty payments or remove its line ofsquare-shaped Instax film from market. Previously, Fujifilm only sold rectangular instant film, with sizes ranging from small postcards to a business cards. In the letter sent to Fujifilm, Polaroid claims that it owns the trademark to the “square within a square” effect, and that Fujifilm’s new line of film is “essentially identical” in shape and border margins. Fujifilm has responded by saying that Polaroid is attempting to gain revenue from what remains of the company’s intellectual property portfolio after failing to profit from its own product sales. The back and forth has been going on between the two companies since January, with things finally headed to court now that Fujifilm has submitted a complaint. Fujifilm is hoping the court will rule that its square Instax film do not violate Polaroid’s IP and cancel Polaroid’s trademarks. Fujifilm isn’t the only company that continued to produce instant film since Polaroid dropped out of the business. After that announcement in 2008, a company called The Impossible Project was formed to continue manufacturing instant film (most of which were square-shaped) only for one of the investors to buy a huge stake in Polaroid and renaming the company Polaroid Originals in September 2017. It is remains unrelated to Polaroid Corporations.